Focusing on the need of the hour wherein maximum youth of Himachal Pradesh are actively preparing for Himachal Pradesh Naib-Tehsildar Examination, HimBuds.com brings to you the History and economy of Kinnaur Himachal Pradesh for preparation of NT Examination. It will help the candidates expand their knowledge and prepare well for the examinations. Ancient History: Kinnaur is a part of bushaier in ancient time. We got evidence of Kinnar in AMARKOSH GRANTH. In HINDU DHARAMGRANTH kinner people were considered as Horse face ,half men and half horse.Tibbeti called them KHUNU while ladakhi called them MONU. They were KHAS in old time. 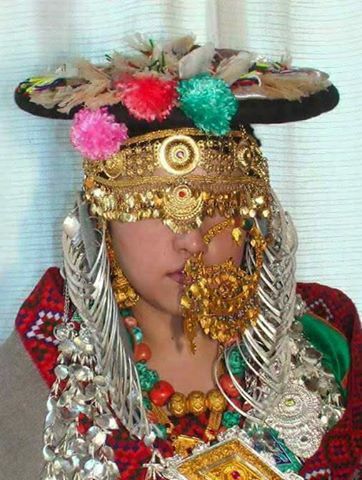 Kinnaur rajput are KHAS Divided into KANNET AND JAD. Pandavas stay here for 12 years. KALIDAS mention about kinners in his book KUMARSAMBHAV. According to VAYU PURAN kinners are resident of MAHANAND PARVAT. Medieval history: Banaras King Chandarvanshi Raj Pradiyuman set his capital to Kamru and lead to establishment of Bushaier Riyasat. Bushaier was the most powerful Riyasat with two other Blaspur & Sirmour. Raja Chattar Singh Was 110th king of Bushaier. He changed his capital from Kamru To Sarahan. Kehri Singh was the son of Chattar Singh, He was given a tittle of CHATARPATI by Aurangzeb. During fight between Tibbati and ladakhi, he take side of tibbeti due to which Hangrang valley was given as a gift to Bushaier and it is easy to trade between Tibet and Bushaier. His grand son Kalyan Singh made Kalyanpur as his capital. Gorkha Attack: After death of Kehri Singh his under age son Mahendar Singh take throne. Gorkha attacked Bushaier in 1803. They rule till 1815. Wajir Tikka Ram & Badri Prashad Fight with Gorkha. They break Wangtoo Bridge and stop Gorkhas. Rampur Bushahr King Ram Singh (1767-99) Change his capital to Rampur From Sarahan. 1857: During 1857 Shamsher Singh of Bushahr was the only King who was against Britisher. Tikka Raghunath son of Shamsher Singh take throne in 1887.He made Chinni Tehsil in 1895. Chinni is now known as Kalpa. Raja Padam Singh: He was Bushaier King in 1914. Virbhadra Singh is SON of Padam Singh. Kinnaur is known as Chinni Tehsil of Mahasu District. On 21 APRIL 1960, Chinni was separated from Mahasu and got name Kinnaur. Marriage: Janetaang here refers to Arrange Marriage. Dumchal Shhesh, Jugish refers as Love Marriage. Darosh, Dabbal, Hachish, Namesha Depaang refers Forcefull Marriage. Har refers as second shoo wife (DUSRE KI PATNI BHAGANA). They also follow Draupdi Marriage system where,one girl has to marry five brothers in this Marriage. Festivals: The main Festivals celebrate here are as follows: Chatrail Festival, Sazo Festival,Phagulor suskar Festival,Dakhrani Festival,Fullaich Ukhayang(FLOWER FESTIVAL IN SANGLA VALLEY),Losar,Tribal Festival(STATE FESTIVAL CELEBRATED IN RECONG PEO) and Lavi Festival IN Recong Peo. These are the main Festivals. WHEAT known as REIJAT, JOAD, THO, AUJA. JO known as TAG, CHA, CHAK, NAN. MAIZE as CHHAHA. BREAKFAST known as KHAU, LUNCH known as SHIL. CHAANG AND GHAANTI types of wines in kinnaur. Dress: As Distinct Culture their dress is also different and it separate them from others. CHAMU is name of Kurtis wear by men as a Shirt. CHAMU SUTHAN known as lower wear by men . THEPANG is name of Himachali Topi(cap). Women mainly wear DORI,CHOLI & GACHANG. CHANLI is name of shawl taken by Women. Strong Economy, Healthy environment and Education are important factors for growth of any country. We don’t have to sacrifice a strong economy and Education for a healthy environment. Education: One navodaya school is in Reckong Peo. First primary school was opened in 1890 in kinnaur and second was opened in 1899. Economic: Sheep breeding centre situated in karcham which play important role in its economy. Minerals in Kinnaur: There are lots of minerals found in kinnaur. Some of them are as follows: Copper is found in Rangwar, China Clay found in Asran, Mica found in Tangling. Pyrite and silver traces found in Chargah. Sangla is famous for slate and Chango is famous for Gypsum. Hydroelectric Project: There are many Hydroelectric running on satluj river or its tributaries. Sanjay JAL Vidyut Pariyojna(Bhabha river) 120MW, Nathpa jhakdi Project 1500 MW. Baspa Jal Vidyut Pariyojna are main hydroelectric project running in kinnaur. Chinni: It was made tehsil in 1895. It is favourite place of Lord Dalhousie. He stayed there during Indo-Tibbet road construction. Kalpa: Chinni is the old name of Kalpa.Before Recong Peo Kalpa was the headquarter of kinnaur. Chitkul is the last village of Baspa valley. Apples , chilgoza and other dry fruits of Kinnaur are worldwide famous. 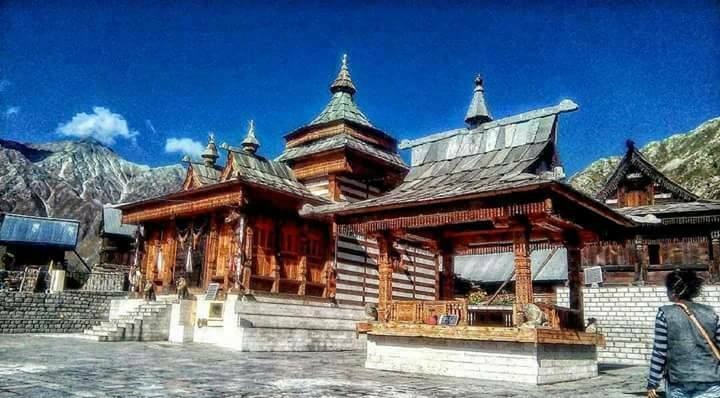 Kamru fort and Mathi temple is famous in Kinnaur.